The process of estimation comprises of figuring out an approximate value which is beneficial for any purpose even if the data input is unstable or uncertain. Estimation is important because at the end of the day, it still derives some information from the best available data. The process of estimation largely finds importance in the field of business and economics and the below Blank Estimate Templates can be used to calculate estimates against a given data. If you have been advised to furnish the estimates of a particular job against pay by your client, you can make use of this template to furnish them with the required information in a structured tabular form as well as a detailed description of how you intend to undertake it. Have you embarked upon a work order from your client and need to furnish him with an estimation sheet before the final approval? Worry Not! 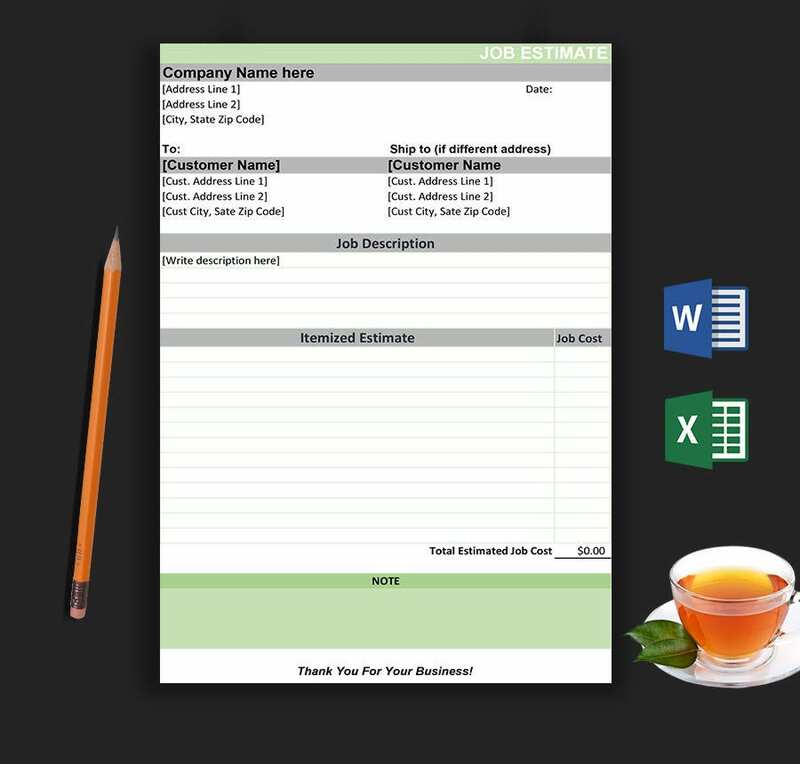 The Blank Estimate 2 template is the ideal format for you to log your details. In order to request an upfront deposit of a sum for a large order or project, this template can comes handy. It allows you to introduce your estimate and also furnish details against the required items against their estimated time and cost. 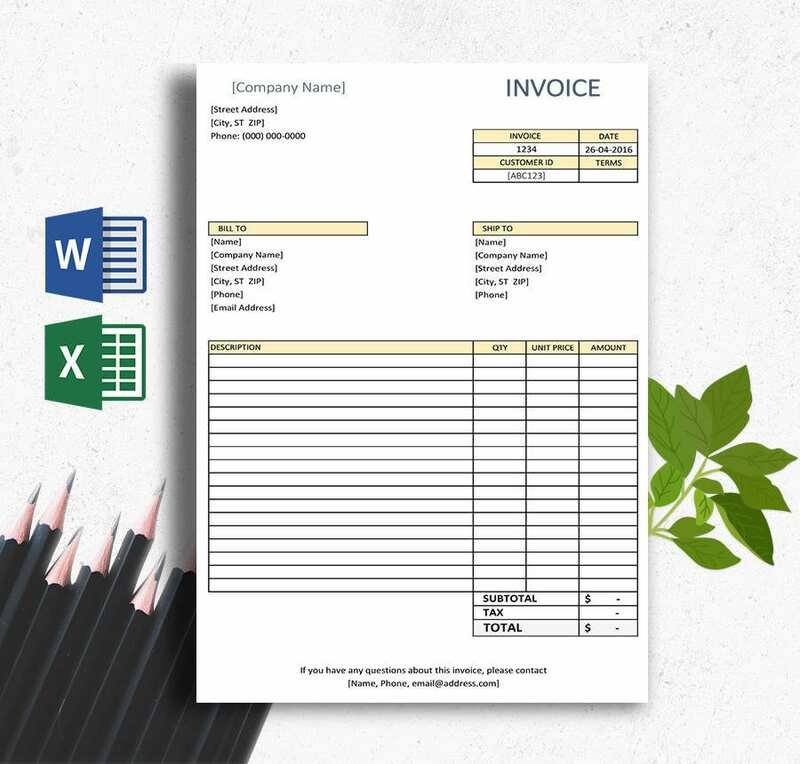 This invoice template serves as an estimation document as well as an invoice and lets you include the description of the items along with their quantity, unit price and amount along with the billing and shipping addresses. 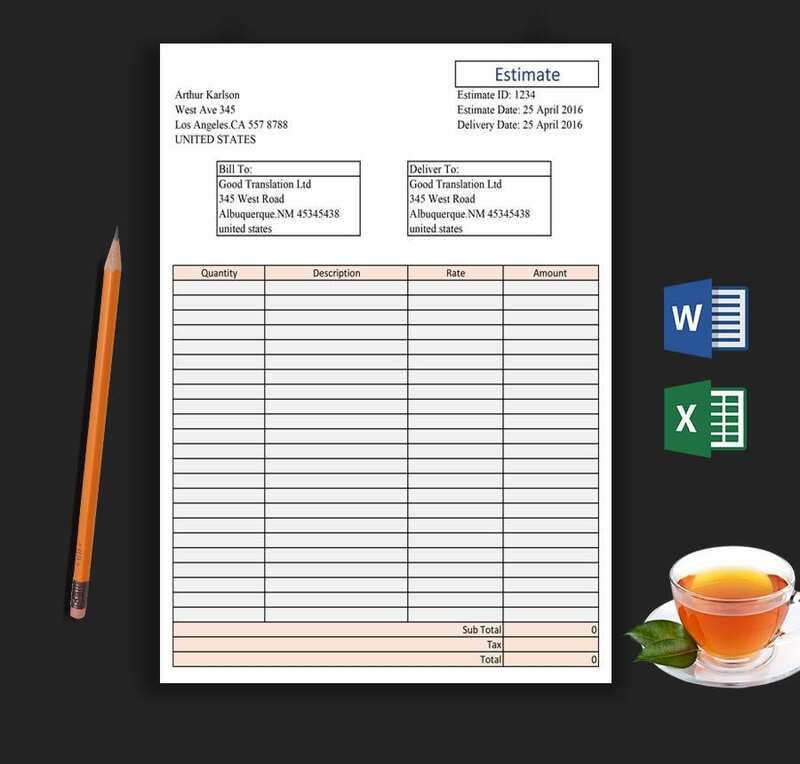 As a business manager, it is imperative for your enterprise to keep a simple but detailed estimate template handy which can serve as a written document for the project you are intended to embark upon. Download this template and personalize it to make such a personalized and professional document. You can seamlessly download, edit and incorporate this template to create an estimation template which lets you stack the myriad stages and steps you will undertake to accomplish a certain task or project. 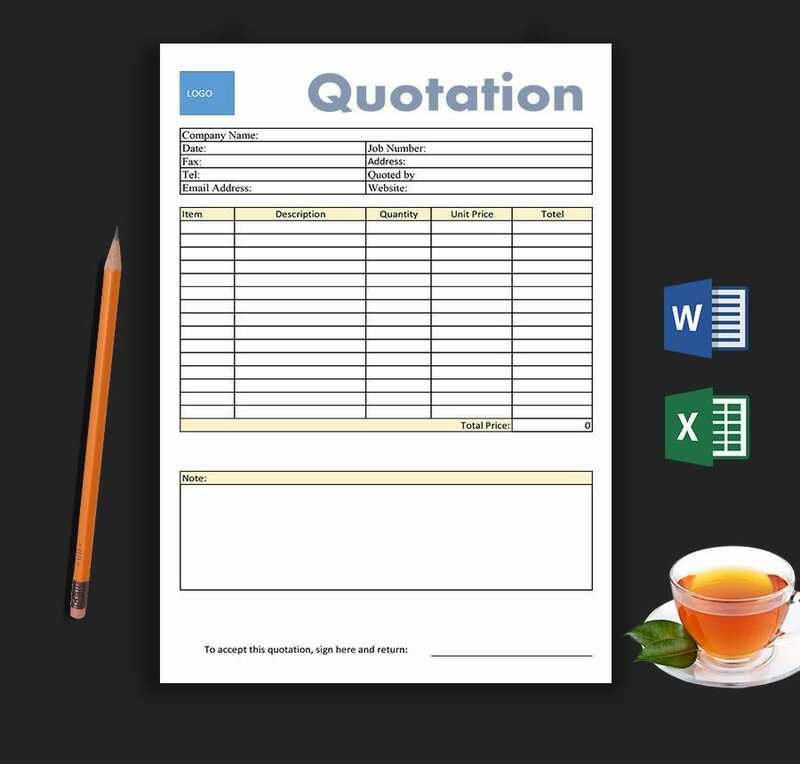 You can separate your quotation document from your invoice document by simply using this template to take care of your estimations before you pick up your projects and assignments against an advance sum of payment. Here is a detailed estimate document for you to customize and put to good use against your clients’ work orders and proposals. What’s more? This fully editable document lets you personalize it by adding your company’s logo as well. > How to use Blank Estimate Templates? Estimates are one of the most important aspects of business proposals and it is imperative for business enterprises to maintain a standard form of estimate templates which can be sent to their clients and business partners before taking on a new project on board. 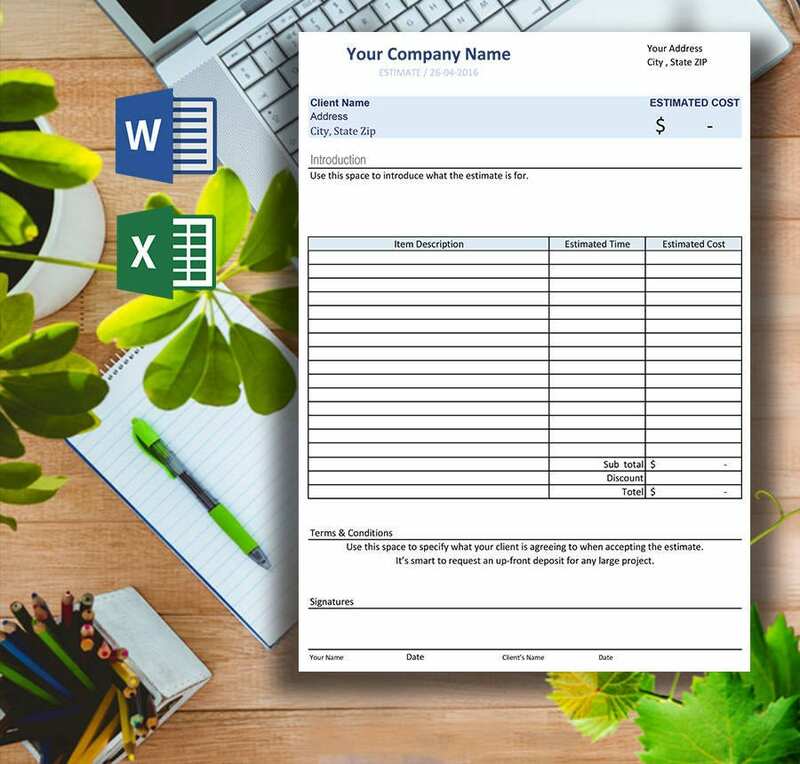 The professional blank estimate templates are designed keeping ease and usability in mind and users can download them to personalize the documents and make the templates their own. The neat layout with specific rows and columns make it easy to key in information. These set of templates are a great way to save time and create a useful and professional estimate document. > What are the benefits of Blank Estimate Templates? 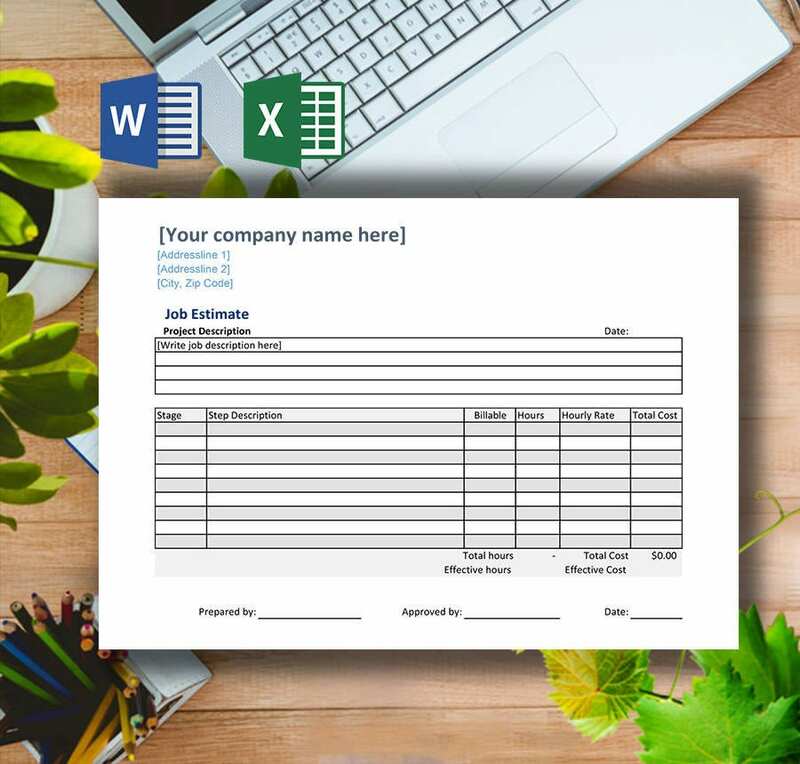 Blank Estimate Templates provide you with the convenience of downloading and personalizing professionally made estimate templates which you can use to propose and send quotations against a large project. The neatly arranged layout with specified rows and columns together with the clever use of color combination renders it a professional look. Space for additional comments and descriptions make it a robust document and the user friendly structures make working and editing easy. These documents are printable and should you need multiple estimate templates, you can review each of these available formats to download and save the ones of your requirement.